The National Park Service has approved the sale of my novel Eagle Talons, The Iron Horse Chronicles-Book One at the Golden Spike National Historic Site in Promontory, Utah. 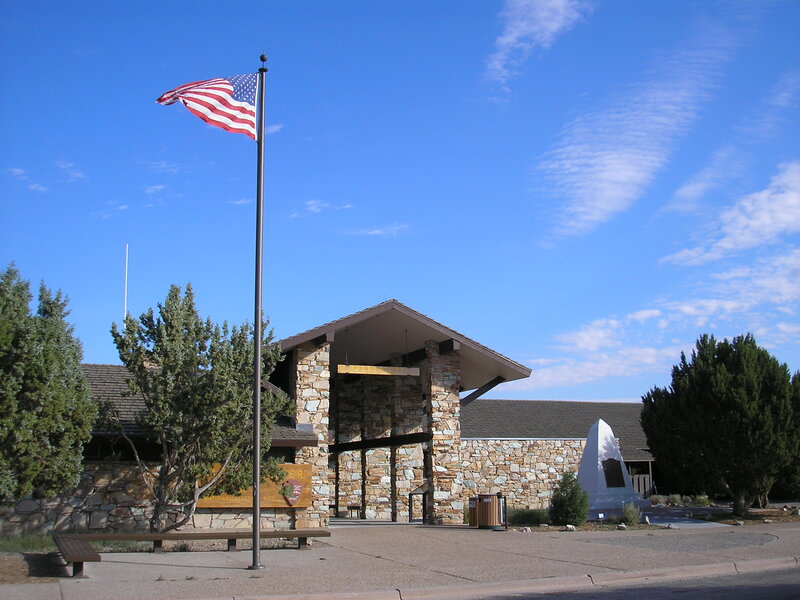 The Golden Spike National Historic Site has an extensive book store and gift shop within the visitor center, the entrance to which is shown in this photo I took during a visit in 2008. As might be expected at a historic site, the majority of the books for sale are nonfiction. That makes it a special honor to have the NPS approve my fiction book. I previously blogged about my visits this year (2014) to GSNHS. You can click on the archives tab to search for those articles posted on May 2nd and May 19th. The Golden Spike National Historic Site is a wonderful place to visit to learn about the fascinating history of the construction of the first transcontinental railroad. Click on the link under Recommended Websites in the sidebar to visit this National Park Service site. This entry was posted in Eagle Talons - Book One, Museums and Parks, The Iron Horse Chronicles, Transcontinental Railroad and tagged Adventure Fiction, Eagle Talons, First Transcontinental Railroad, Frontier Fiction, Golden Spike, Historical Fiction, Historical Parks, Museums, National Park Service, Teen Fiction, Trains, Western Fiction, Young Adult Fiction, Young Readers. Bookmark the permalink. This is the most wonderful news! Wow!, so very excited. My heart is bursting with pride. Congratulations on the sale of your books to the GSNHS! Much good luck with the future sales to visitors.